What's the Easiest Way to Install Linux on Your Computer? Maybe you’re thinking of switching from Windows or macOS to Linux, but you aren’t sure about it. You’ve never installed an operating system before, or maybe just once or twice and it was a complete disaster of an experience. Fortunately, installing Linux isn’t as hard as you might think. In fact, as long as you pick a beginner-friendly flavor of Linux, the first time is usually an absolute breeze. Here’s how to install Linux with ease on your computer and leave Windows or macOS for good. Want to Try Linux Risk-Free? Use a Live Disc! Live Mode lets you try out Linux from a CD, DVD, or USB drive without overwriting or uninstalling your existing operating system. Simply create a Linux live disc, insert it, reboot, and immediately experience Linux. You’ll be able to try out various apps, tools, and access the web—but nothing you do will be saved. Live discs are an important tool as they let you try out Linux operating systems without making a big commitment. If you’re happy, you can properly install Linux right from the live disc when you’re ready. There are over 50 different ways you can use a live Linux disc The 50 Cool Uses for Live CDs The 50 Cool Uses for Live CDs Live CDs are perhaps the most useful tool in any geek's toolkit. This live CD how-to guide outlines many uses live CDs or DVDs can offer, from data recovery to enhancing privacy. Read More ! If you’re looking for an installation that is an absolute cinch, then look no further than the extremely affordable Raspberry Pi. Capable of running a surprising amount of Linux software, this low-spec microcomputer that was once only suitable for hobbyists and DIY techies is now as good as a desktop replacement ever since the launch of the Raspberry Pi 3B+ in 2018. This makes it an ideal device on which to begin your Linux journey. You certainly wouldn’t be the first: over 14 million devices have been sold so far. I myself became familiar with Linux via Raspbian, rather than installing a Linux OS on my PC. If you’re looking for a way to get to grips with Linux before switching, then using Raspbian is a great way to do this (or one of the other Raspberry Pi operating systems out there 11 Operating Systems You Can Run on Raspberry Pi 11 Operating Systems You Can Run on Raspberry Pi The Raspberry Pi's hardware is only one side of the coin. Here are some different Raspberry Pi operating systems you can install. Read More ). Installing an OS on the Raspberry Pi is a bit different than installing on desktop computers and laptops. Rather than installing from a disk image to a hard disk drive, all you need to do is write the disk image to an SD card, load the card into your Raspberry Pi, and boot up. See our guide on how to install an operating system on the Raspberry Pi How to Install an Operating System on a Raspberry Pi How to Install an Operating System on a Raspberry Pi Here's how to install an OS on your Raspberry Pi and how to clone your perfect setup for quick disaster recovery. Read More , which explains this in greater detail. Rather than switch operating systems entirely, you can run Linux in a virtual machine How to Install Linux in Windows With a VMware Virtual Machine How to Install Linux in Windows With a VMware Virtual Machine Do you want to install Linux, but can't leave Windows? Try a virtual machine to run your favorite version of Linux inside Windows. We show you how to set up VMware Workstation Player. Read More . This will let you run Linux on your PC as if it were an app, letting you test flavors of Linux without leaving Windows or macOS fully behind. 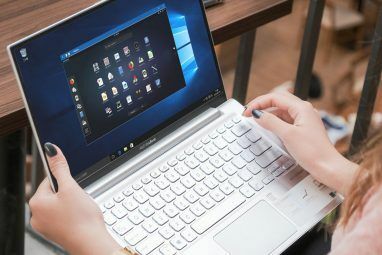 Importantly, you do go through the motions of installing Linux when doing so in a virtual machine, so it gives you risk-free practice on actually installing Linux—and when it comes time to install it on your PC proper, you know exactly what you’re doing. See our tutorial on running Linux in a virtual machine How to Install Linux in Windows With a VMware Virtual Machine How to Install Linux in Windows With a VMware Virtual Machine Do you want to install Linux, but can't leave Windows? Try a virtual machine to run your favorite version of Linux inside Windows. We show you how to set up VMware Workstation Player. Read More for more details. These days, it’s even possible to access a Linux environment within Windows without having to worry about installing a new OS. Windows 10 has a feature called Windows Subsystem for Linux, which lets you install the Bash command line shell A Quick Guide to Linux Bash Shell in Windows 10 A Quick Guide to Linux Bash Shell in Windows 10 You can now run Linux on Windows. Learn more about Bash on Windows, from how and why you should install it, to hidden features you probably didn't know about. Read More . This alone can help you get to grips with Linux without leaving the familiarity of the Windows environment! When you’re ready to install Linux on your desktop you’ll want a Linux operating system that installs quickly, and with the minimum of fuss. Although most Linux OSes are straightforward, some are easier than others. We’ve picked three you should consider for installation. At the time of writing, Ubuntu 18.04 LTS is the latest version of the most well-known Linux distribution of all. Installation of this OS is strikingly easy, having been polished and refined since its first release in 2004. Our guide to Ubuntu Ubuntu: A Beginner's Guide Ubuntu: A Beginner's Guide Curious about Ubuntu, but not sure where to start? Everything you could possibly need to get started with the latest version of Ubuntu is right here, written in easy-to-understand, plain English. Read More will help you get started. The main rival to Ubuntu for many, Linux Mint has a similarly easy installation, and indeed is based on Ubuntu. While the experience of using Mint is different to Ubuntu, you’ll find it just as simple to get used to. 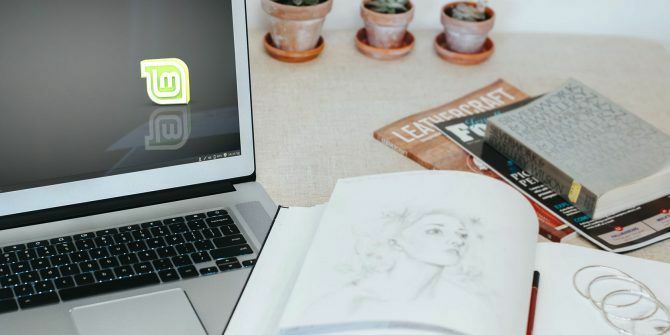 You’ll find many reasons to love Linux Mint 10 Reasons to Fall in Love With Linux Mint 10 Reasons to Fall in Love With Linux Mint Not sure which version of Linux to try out first? Linux Mint is a popular option, and one of the friendliest and most versatile versions of Linux available. Read More . While Linux Mint has a very traditional desktop feel, MX Linux aims for something even closer to Windows. With an easy installation system, MX Linux might just be the best option yet for anyone switching from Windows to Linux for the first time. Other Linux distros are available, of course. You’ll find more to choose from in our list of the best Linux distros The Best Linux Operating Distros The Best Linux Operating Distros The best Linux distros are hard to find. Unless you read our list of the best Linux operating systems for gaming, Raspberry Pi, and more. Read More . While replacing the old OS might be preferable, having both operating systems running on your PC together is useful. For instance, if you ever want to go back to Windows, all you would need to do is reboot! Installing and Trying Linux Is Surprisingly Easy! By this point, it should be obvious to you that installing Linux isn’t as difficult as you might have thought. In fact, it’s entirely possible to get a Linux machine up and running in the time it takes to read this article. Ready to switch to Linux? Our list of things you should know before switching to Linux 5 Things You Should Know When Switching to Linux 5 Things You Should Know When Switching to Linux Planning to switch to Linux? While it isn't any harder to use than Windows, it is different. Here are five things you should know when switching to Linux. Read More should help you to make the process as smooth as possible. Explore more about: Linux, Linux Bash Shell, Linux Mint, Raspberry Pi, Ubuntu, Virtual Machine. Linux is a breeze to install compared to the long and tedious task of installing any Windows version. If you can install Windows, you can install Linux. Ubuntu probably has the easiest installer, which is why so many distros use the Ubuntu installer. If there is a harder OS to install it would be one without a graphical installer or one with only open source hardware where you get into driver issues. Those I would not recommend to a first time user. This is a very nice version / flavor of Linux. It is very good for beginners and advanced users alike. Software keeps people chained to MS & Windows. Linux isn't Windows and isn't meant to be. How many people are tied to one service for their digital music files? Most people don't really know what computer freedom is. They've never had it. They'll continue to stay with MS & A. They'll continue to pass out their hard earned dollars for overly priced software they don't even need. 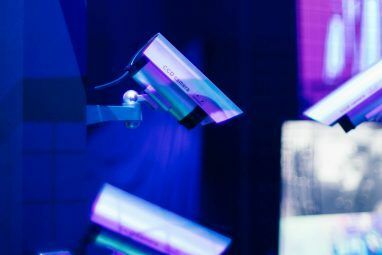 They'll pass out more cash for Virus Scanners, anti-spyware, office programs, registry cleaners, fix-it tools and the list goes on and on and on. I just installed .. MX Linux 17.1 and I think it is a fine distribution of Debian based Linux. It is easy to find one's way around and locate programs. It's super easy to add and remove programs via the MX Linux Package Installer. It auto-updates itself and is well maintained. It has a nice friendly online forum. A nice manual & wiki. It could probably look much cooler out of the (eye candy) box, but I'm fine with it. MX Linux 17.1 is indeed top notch. See for yourself .. Try it. Toss this in Google: "MX Linux Top Notch"
While the distributions listed in the top three easiest to install are easy, the easiest of all did not even get a mention. That would be the Debian-based Deepin 15.x. Not only is it easy to install, but the installer is also one of the nicest around. Once installed, you are rewarded with one of the most beautifully crafted distributions available. The Deepin Desktop Environment is an awesome mash-up of the best features found in other operating systems. Whether you are coming from Windows, MacOS, or Linux, you will feel right at home. Deepin 15.x is both intuitive and innovative and deserves a spot on any best-of list. Aren't you and other tech writers being a little bit contradictory? On the one hand you portray Linux as being hard to learn for those switching from Windows and newbies being lost in it. You are forever looking for the most "Windows-like" distro. On the other hand, you recommend installing Linux on a Raspberry Pi or in Virtual Machine. 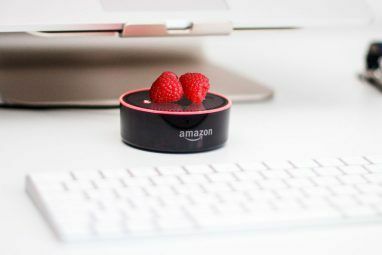 Building a Raspberry Pi and configuring it takes a certain amount of computer savvy which most articles about switching from Windows to Linux don't give the users credit for. Switchers are usually portrayed as being all thumbs when it comes to computer knowledge. Installing Linux on a Raspberry Pi is certainly not as easy as using a LiveCD or installing to a hard disk. As an alternative method, you suggest installing Linux in a Virtual Machine. Again that requires some computer knowledge. First in setting the VM and then installing Linux. So, are those switching from Windows and those using Linux as their first O/S capable or are they clueless nincompoops? Thanks for the nod to VMware! Much easier to run in a VM than to dual boot (that's so nineties). You may try them all! I'm no expert but I started trying Linux distros when Microsoft announced WIN10. I played with the live disc approach but wasn't happy with the boot time & response so I installed Virtual Box on my Windows computer. I installed 3 or 4 distros to play with and decided that Ubuntu was my best first move. When Ubuntu 14.04 was released I installed it as a dual boot on a new hard drive so that I could continue using a couple of Windows only applications. After a while I got tired of rebooting so I installed Virtual Box on Linux so I could run a WIN10 VM, and then reformatted the old Windows drive for extra data. That approach works perfectly for me. I use Ubuntu 90% of the time and can easily jump into the Windows desktop for those few windows-only needs.